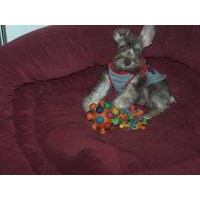 • Miniature and Toy Schnauzer breeders are listed below alphabetically by State / city. 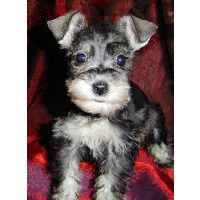 • Click on underlined words or photos to find Miniature and Toy Schnauzer puppies for sale. • Please tell the Miniature Schnauzer breeders with puppies for sale that you found them on BreedersClub.net. Miniature Schnauzers are good alarm dogs and the most popular of the three Schnauzer breeds. Their history traces back at least six centuries. Their intelligence makes them very trainable and they exhibit a cheerful temperament. AKC places this active and alert dog in the Terrier Group. Hello I am Janelle, Owner of Pampered Puppies. I personally raise adorable puppies with excellent dispositions and good health.You can either pick your puppy up or I can ship the puppy to you. Your puppy will come with a vet health certificate, shot/worming record,sample of their food, blanket & toy. Puppies are raised on high quality food without corn, Young Living essential oils and love to give you the best possible puppy. Buy one and you will be back for another ! Only the best : the best medications, the best food and continuous research to produce the best pups. Forty years experience and still improving everything we do as breeders. We have been with our breeds since 1994. Our dogs are a part of our family. Raising and training our dogs and pups is something we all enjoy. We strive for happy and well social pups like their parents. Our dogs are easy to work with, great with kids and a joy to have. Our pups have a health guarantee, are micro-chipped and will come with an exclusive puppy packet to help not only the puppy but his/her owner in raising a happy well balanced dog. Home raised and well socialized, shots, worming, better for people with allergies. Puppies will have natural ears, dew claws removed and tails docked. They will come with an application to get them registered with the AKC. They will have a record of shots and deworming. I've been a breeder for 25 plus years. I was a groomer before that. I've loved dogs all my life. My main goals are happy beautiful dogs. I try to breed as close to AKC standard as possible. I keep parents and puppies as happy and healthy as possible. All puppies are sold with a limited AKC registration unless otherwise arranged. We spend as much time as possible with our animals. We are located in Southcentral Nebraska and have raised puppies for over 16 years. We enjoy raising happy, healthy babies that will bring years of joy to their new families. 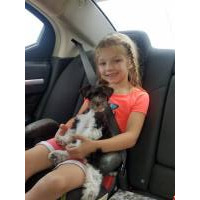 Our puppies are raised in our home and are socialized with our children from the day they are born. While we do not offer shipping, we are happy to meet at the airport if you would like to fly to get your puppy or we are willing to drive to meet (within reason). Our babies leave home with registration papers (if applies) current shots and dewormings, vet check, health cert, health guarantee, microchipped, and a puppy care package including some food. Please consider us for your next furry family member. God Bless!! I have a small kennel located in NE Oklahoma. I have been raising puppies since 2006. I provide my dogs with room to run and play. They are all happy, healthy, fun loving members of our family. I raise Miniature Schnauzers and Cairn Terriers. Dogs make me happy! Having a successful breeding program takes many years of experience. Over the last 15 years we have been very selective in raising top quality Sires & Dams to produce healthy bloodlines. Our puppies are DNA tested and registered to protect the integrity of our bloodlines. We have worked up close and personal with our veterinarian following procedures and guidelines recommended by him to assure that our puppies have had the best care prior to becoming an addition to your family. We have 40 years of experience as a breeder. All our puppies are bred for Beauty, Quality and Temperament. We don't skimp on their care; they receive the highest quality nutrition and the best in vaccines, coming to you with current shots & worming and health guaranteed. Playful, cheerful, friendly pups will make a devoted addition to your family. Puppy pictures available upon request. We have been raising puppies here in Houston since 1968 and have many repeat customers and referrals. We are a licensed Texas breeder, No. 122. This breed directory page features Miniature Schnauzer dog breeders with puppies and/or adult dogs for sale. Once you purchase your new found friend, you will want to provide it the best in pet health care. Be sure to visit our online discount pet supplies catalog and order NuVet Plus™ to keep your puppy and adult dogs in top condition. The discount catalog also features collars, leashes, carriers, general pet care products and much more. BreedersClub.net does not pre-screen the Miniature Schnauzer dog breeders who advertise their puppies and dogs for sale in the BreedersClub.net breeder directory and in the classified ads. We require all advertisers to agree to our advertising terms. 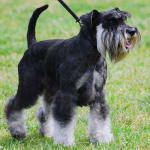 You should ask the Miniature Schnauzer dog breeders you talk with for references from past buyers and veterinarians.